The Prime Minister of NorwayErna Solbergsaid that there is a great scope to develop bilateral relations with India in areas such as business, trade and Investments. The Prime Minister of Norway Erna Solberg on 7th of January said that there is a great scope to develop bilateral relations with India in areas such as business, trade and investments. The Norwegian Prime Minster also said that Norway has launched a new strategy to strengthen bilateral ties and economic relations with India which “continues to be the fastest growing Economy in the G20”. Solberg who visited India recently further said that open as well as free trade are vital for economy and growth. “We are doing what we can to ensure that the Trade and Economic Partnership Agreement between EFTA (European Free Trade Association) and India will be finalised soon,” Solberg added. 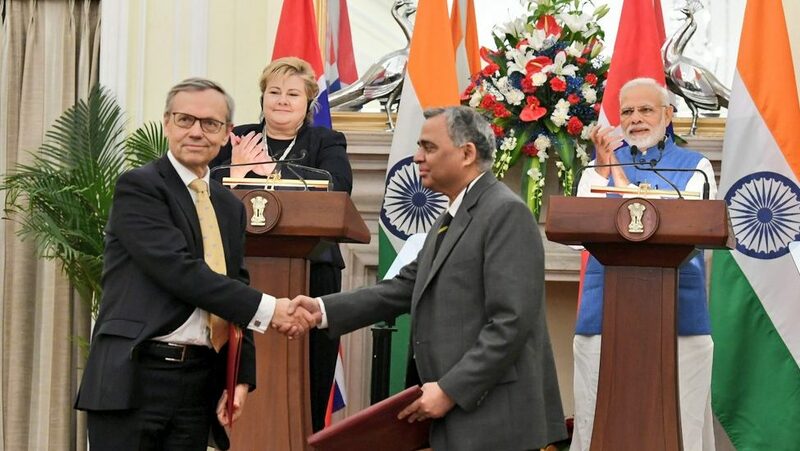 Since the independence of India at 1947, Norway and India have maintained a solid and friendly relations like India’s relations with other Nordic countries. Norway sees India as a vital partner for economic developments. India imported over $268.68 million while exported to Norway over $82.3 million as for 2010 census.